This entry was posted on Sunday, May 30th, 2010 at 1:39 pm. You can follow any responses to this entry through the RSS 2.0 feed. Both comments and pings are currently closed. 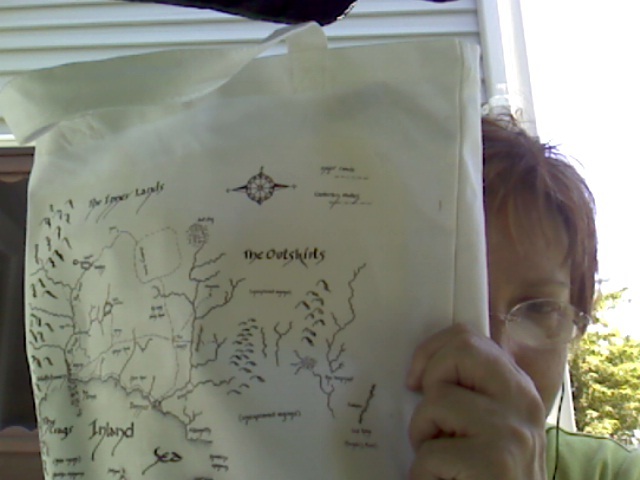 And I have a cool black tote bag of a Bryce image you created, also slightly damaged (but hard to see). Thanks!! I wish I were going to Readercon so I could flash it around. You could always start up a CafePress store or a Zazzle store if you wanted to sell awesome tote bags. Just saying. Nifty! Glad to hear that the auction went so well.